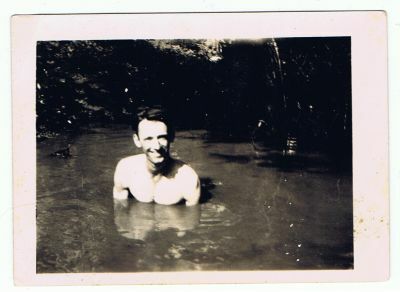 ronsden.com - Old family photos/Dad in the water hole. Dad in the water hole. I'm not sure why Dad was in the this water hole. They had a big tank on the Ranch that they used for movie making. Much more suited to swimming than dirty water.